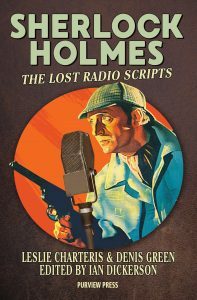 Released on 24th November is this collection of twelve Sherlock Holmes scripts written by Leslie Charteris and Denis Green. In 1944 Leslie was hired to help write the long running radio show, The New Adventures of Sherlock Holmes, which starred Basil Rathbone and Nigel Bruce. For nine months he and his friend Denis Green wrote for the weekly show and this is the first collection of scripts from that period. 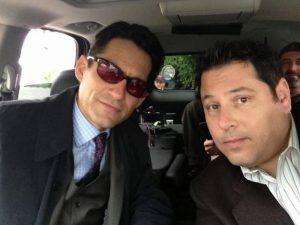 None of the shows have survived so this is a unique opportunity to discover what happened when the creator of the Saint wrote for Sherlock Holmes. Available from Amazon and Radio Spirits. 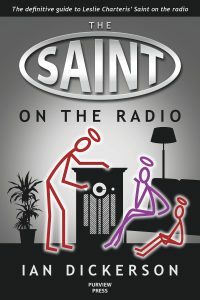 You can watch The Saint on Netflix, iTunes, Amazon UK. 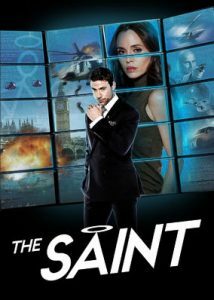 Twentieth Century Fox Home Entertainment, have confirmed that The Saint, starring Adam Rayner, Eliza Dushku, Sir Roger Moore and Ian Ogilvy will be getting a digital HD/VOD release on July 11th this year. This is the long awaited TV movie version of the TV pilot that was originally shot back in 2013. No word, as yet, on a DVD release. Former Saint Ian Ogilvy's new film, We Still Steal the Old Way, is available on DVD and Blu-Ray from April 17th. Sothcott (Vendetta), WE STILL STEAL THE OLD WAY harks back to classic Brit crime capers like Perfect Friday and Robbery,but brought bang up to date by drawing its inspiration from the audacious 2015 Hatton Garden jewellry heist, and taking a timely jab at banking bigwigs. Patrick Bergin (Sleeping With The Enemy, Patriot Games); Tanya Franks (Broadchurch); Vaz Blackwood (Creep); and the great Billy Murray (Rise of the Footsoldier, EastEnders), giving a scene stealing, swaggering performance as Richie’s truly nasty nemesis Vic Farrow. 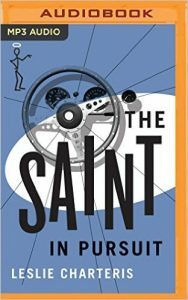 Fans of Simon Templar might be interestes in this new book by author Ian Dickerson. Who is the Falcon? 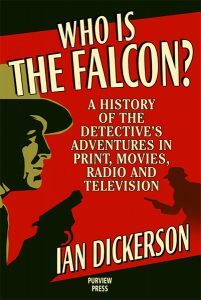 is a comprehensive history of The Falcon, the fabulous private eye who was always ready with a hand for oppressed men, and an eye for repressed women and who owes his print and film career to a certain Mr Templar. You can order the book directly from the publisher or from Amazon. 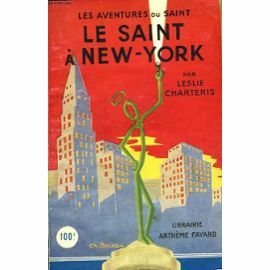 Whilst our poetical tastes run more to the adventures of Charles Charleston Charlemagne St Charles the latest issue of Arete magazine is rather interesting. It features a 74 page narrative poem entitled Minding the Halo as well as an interview with the poet Philip Hancock. If you've ever watched Return of the Saint than you'll discover that Philip has captured the imagery of the time perfectly. Brilliance Audio will complete their release of forty-nine Saint audio books on September 20th as The Saint Abroad, The Saint and the Fiction Makers, The Saint and the Hapsburg Necklace, The Saint and the People Importers, The Saint in Pursuit, The Saint in the Sun, The Saint on TV, The Saint Returns and Vendetta for the Saint all get released on MP3 CD. 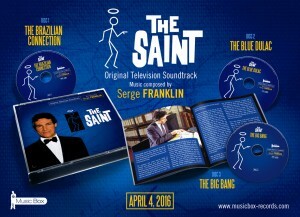 Brilliance Audio continue their release of the audiobooks on MP3 CDs with The Saint in Europe on May 31st we are reliably informed.